4K footage. 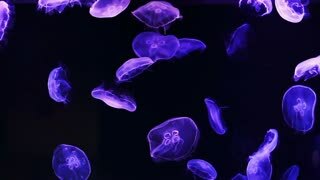 Colorful jellyfish floating underwater. 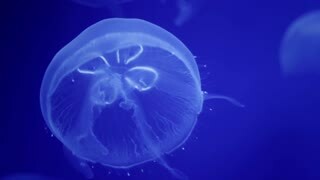 Jellyfish in water. 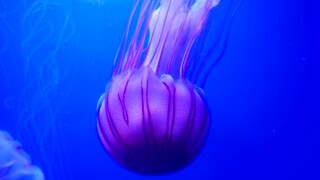 Jellyfish close up. The oldest multi-organ animal. 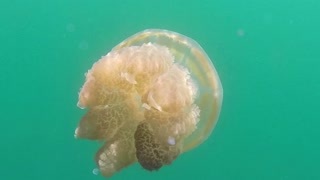 Jellyfish in the water. 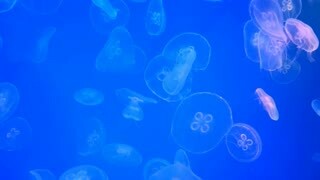 Jellyfish and sunlight. 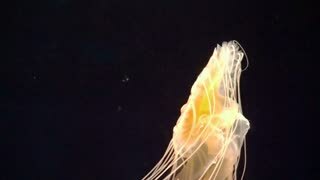 Medusa jellyfish underwater on black background of White Sea. Unique video close up. Predators of marine life in clean clear pure and transparent water in search of food. 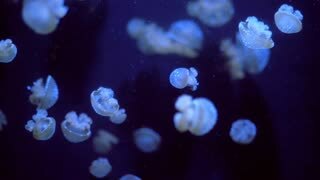 Little caucasian child hands holding transparent jellyfish outdoor in sea water in summer. Glowing moon jellyfish with green light. Large sea anemone on the bottom near the coral reef in the Red Sea.